This year Slav's students participated in 20 Guitar Categories and won 56 out of the possible 57 (1st, 2nd or 3rd place) trophies. This year Slav's students participated in 17 Guitar Categories and won 14 First places at the annual 2006 NCM Music festival. This year also marks the birth of "Toronto Classic Guitar Ensemble" that won the First Place Award. These are the students who won awards and scholarships as The Most Promising Musicians and Talents at the annual NCM Music Festival. 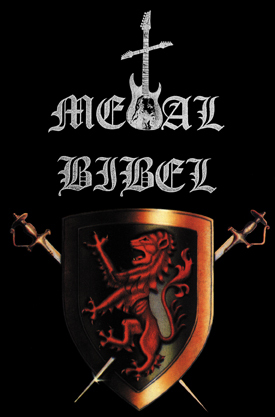 METAL BIBLE The Metal Bible is a special Bible version for all us that are into metal music. It contains the New Testament in an easy to understand language as well as testimonies from metalheads that talk about what God and the Bible means to them. Slav Simanic finished engineering and producing an album of Toronto based power rock band "Nothing Else". One of the most talented Canadian Extreme Metal bands recorded, mixed and mastered at Bride Music Studio three songs. Toronto based power rock band "Nothing Else" started recording their album at Bride Music Studio. The album will have ten tracks and Slav Simanic will engineerg and produce the album. The title of the album is "The Little Guy" and one of the highlights is a song "Freedom" that was recorded by using 71 tracks in total (22 vocal tracks). The album is expected to be completed in November 2004. Slav Simanic has completed transcribing Antonio Vivaldi's Four Violin Concertos known as Four Seasons. All concertos (transcribed in Notes and Tabs) have already become a very useful studing material at New Conservatory Of Music where Slav teaches the guitar. REVIEWS OF "WATER OF LIFE" AND "LET IT GO" IN "METALFORJESUS.ORG"
Metal For Jesus - a website specialized in promoting Christian Hard Music. Slav Simanic has printed a new updated edition of his books "Water Of Life" and "Let It Go". Both books received great success at the annual NCM Music Festival 2004 where Slav's students who performed songs from the books won numerous awards and scholarships. To order the books please check out our Merchandise Section. are the students who won 1st place awards in their categories as well as scholarships as The Most Promising Musicians and Talents at the annual NCM Music Festival. Ted Isac and Lukas Cheung also won the 1st place in the Rock Band category. They performed Slav's composition "Resurrection Suite" from "Water Of Life" album at the "Stephen Leacock's" auditorium in front of a full audience. Guitar Mania - The Best in Neo-Classical & Shred Guitar!! has interviewed Slav Simanic. Slav Simanic - "Melodic Super Shredder - Genius"
"Canadian shred demon with a flare for melodic structure with an aggressive metal edge. Slav is a strong Christian who try's to incorporate his relationship with the Lord into his music by spreading a positive message. High octane shred with integrity and passion. A faculty instructor at the New Conservatory of Music in Toronto, Slav also operates his own teaching and recording business - Bride Music Studio..."
"REWIRED REVIEWED IN "GUITAR MANIA"
Slav Simanic has been honored by "New Conservatory Of Music" (one of the largest music schools in North America) as "Teacher Of The Year for 2003"
The award was established by NCM since 1999 and Slav has already received the "Teacher Of The Year" award for the year 2000. The official street date for the album is January 27th, 2004. (Best Buy, Circuit City, Tower, Barnes & Noble, CD Universe,...etc) and traditional record stores as well. After receiving many requests regarding the lyrics of Slav's latest album "Let It Go" we decided to add a new section with complete lyrics and spoken word parts for both Slav's solo albums. "NEVER GONNA DIE" ON #5 ON METAL COUNTDOWN! Never Gonna Die has been voted on Metal Countdown and has taken the place number 5! METALFORJESUS.ORG a website specialized in promoting Christian Hard Music is now featuring a song "Never Gonna Die" by Toronto's guitarist Slav Simanic from his latest solo album "Let It Go" as a new "Classic" song. where you will be able to hear and vote for the song as well as for other featured bands. We are pleased to inform you that now we have available for sale play along CD (Backup tracks) of Slav's latest solo album "Let It Go". To order "Let It Go" backup tracks CD or any other item from our catalogue please visit our Merchandise section. If you live close to Toronto area both "Let It Go" and "Water Of Life" books are also available at Toronto's "New Conservatory Of Music" library as Guitar studying material. which airs Thursday nights from 10 P.M. - Midnight on CKMS - 100.3 FM from Kitchener-Waterloo, Ontario, Canada. Promotion of Slav's solo albums "Water Of Life" and "Let It Go" has started as the CD-s have arrived in KOORONG'S stores Australia wide. "If you like nothing more than listening to a guitarist tear it up on the fret board or you do a bit of axe shredding yourself, I think you're gonna love what has just arrived! Slav Simanic is a Yugoslavian born guitarist that is based in Canada and is very much respected by musicians worldwide. He has featured on many tribute albums for artists such as Joe Satriani, Jason Becker and (soon) Carlos Santana, Jeff Beck & Frank Zappa. 'Let If Go' features the vocal talents of Phil Naro who has worked with many AOR and Hard Rock artists in the mainstream. Even better news is that we are selling these CD's for $23.95 each! So if you remember back in the day when guitarists REALLY knew how to play their instruments, come and check out Slav Simanic's CD's (that's a tongue twister!)." Slav's solo albums "Water Of Life" and "Let It Go" are being distributed in Australia through KOORONG - the largest Christian book/music distribution chain in Australia. The album features Slav's cover of "Speed Metal Symphony". On Monday November 4th Slav Simanic was featured as inaugural "Artist Of The Month" on "Project Eternity" weekly radio show on Australia`s largest Christian Radio station Life FM in Adelaide South Australia. "Project Eternity" is aimed at providing an outlet for Christian shredding rock/progressive music. 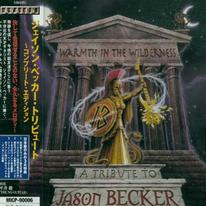 MARTY FRIEDMAN, STEVE VAI, RONNI LE TEKRO, SLAV SIMANIC, LARS ERIC MATTSSON and many more. " GUITAR SHOWCASE PROFILE - a profile report featuring some of the World`s most talented, accomplished & upcoming players. Japanese release of Slav's debut album "Water Of Life" + 2 Bonus Tracks can be purchased from Amazon.com web site. The album has received 5 stars customer rating. Slav's new album LET IT GO was released in July 2002 on NOW AND THEN/FRONTIERS. After being available for less then one week Slav's "Let It Go" made it to the top 10 of the most popular vocal albums at GUITAR NINE RECORDS. Click here to purchase "Let It Go" from Guitar Nine Records. Slav's debut album "Water Of Life" is still among top 10 Sellers on GUITAR NINE RECORDS in the Rock category. Click here to purchase "Water Of Life" from Guitar Nine Records. Slav's new album LET IT GO will be released in July 2002 on NOW AND THEN/FRONTIERS. Yugoslavian born guitarist SLAV SIMANIC is the latest addition to the Now & Then / Frontiers roster. His first album for us "Let It Go" will be released in July 2002. It will come with a bonus CD of his debut "Water Of Life" (originally released in 1998). The same year Slav Simanic teamed up with vocalist Phil Naro (Talas, Peter Criss) , bassist Zsolt Henczely and drummer Morgan Evans . This cooperation resulted in the recording of Slav's new release "Let It Go" . The album is a mixture of mainly vocal and some instrumental tracks with Slav's recognizable guitar style: high-intensity shred delivered with taste, melody and a passion for musical quality. While his ability as a great new guitar talent has been widely acknowledged Slav has also been equally praised for the accessibility of his songwriting. Click here here for more information about the album. Completed Art Design for album "Let It Go". ROCK EXPRESS - Serbian Rock magazine has published an exclusive two page interview with Slav Simanic. Check out our Reviews section for more details. Guitar arrangement of "The Flight Of The Bumble Bee" by N. Rimsky Korsakoff is the latest music score added to our Merchandise section. Slav Simanic has completed writing Notes and Tabs book of his new solo album "Let It Go". Notes and Tabs book for the album "Water Of Life" is in works and will be available very soon. Liquer N Pocker Music has joined the growing list of distributors and on-line music stores (others include: GUITAR 9 - NC/USA, NIGHTDISCS - MN/USA, RED ROOM RECORDS - OH/USA, RISING SUN - GERMANY, LOUD 1 - U.K, DREAM DISC - IN/U.S.A....) where "Water Of Life" could be ordered. Slav Simanic has recently finished recording guitar tracks for Toronto based band 24 K on their new album "Black Sheep". Vocalist Phil Naro (ex. of Talas) and guitarist Mladen (Von Groove), original members of 24 K, cowrote songs for the album. Mladen injured his left hand in an accident and Slav was brought in to help them finish recording guitar tracks on four songs of the album. Slav contributed on this album by playing acoustic, 12 string, rhythm and lead guitar. Artists also involved on the record are Billy Sheehan on bass guitar and Peter Criss, who cowrote on the album. SIYF reports monthly Top 10 Hard Rock/Metal albums to Chart and !Earshot/Exclaim magazines. Check the latest radio show review of "Water Of Life" which has been added in to our Review section. Song "Water Of Life" was included in the playlist for "Over My Head" and broadcasted on April 11th 1999. CKCU-FM is a campus station for Carleton University. The UK's On Line Store has enlisted "Water Of Life" in their impressive catalogue. Radio stations that aired music from "Water of Life". Beside hosting two hour radio show, Hubert Jakobs represents CM Music Distribution - Estonia/Europe, specialized in Christian music distribution. CM Music Distribution publishes Christian music magazine and works with several radio stations as well. Radio station which program could be heard in Sao Paulo State in Brazil. It is possible that the album could be airplayed soon on Radio station "Eldorado", located in Sao Paulo. Brian McGowan has reviewed "Water Of Life" for the Christian Rock section in April's issue of Hard Roxx Magazine. "Water Of Life" was rated as highly recomended 9.5/10 Hard Roxx is the most popular U.K. Melodic Rock Magazine. Please check our reviews section for more details. DREAM DISK has joined the growing list of distributors and on-line music stores (beside GUITAR 9, NIGHTDISCS, RED ROOM RECORDS, RISING SUN...) through which catalogues "Water Of Life" could be ordered. GUITAR WORLD - April 1999 issue/page 172. Water Of Life is one of the twelwe albums presented in April's issue of Guitar World Magazine through Guitar Nine Records - (The Future of Guitar Inspiration) half page add. "Space In Your Face" is another radio show on which album "Water Of Life" was presented. Radio stations from Canada (Christian radio programme entitled "Over My Head" CKCU-FM), U.S.A., Brasil, Romania, Estonia (Radio 7) contacted Slav Simanic and were interested in broadcasting "Water Of Life" on their programming. U.S.A., Canada, France, Italy, Germany, England, South Korea, Taiwan, Hong Kong, Bahrain, Yugoslavia, Hungary, Thailand, Belgium, Sweden, Japan to name a few. ABC - Christian Book Centers from Alberta and North Carolina started to carry "Water of Life" in their stores. Slav Simanic Canadian Christian guitarist and composer is included to the impressive list of featured instrumental guitar artists. "Water of Life" was air played internationally. The following are radio stations that aired music from "Water of Life". The show airs Fridays, 12:30 to 3:00 PM (EST). You can hear the show on the net. Broadcasting two hours show every Wednesday. The show is promoting instrumental guitar music. Radio Therapy airs Sundays, 2 - 7 AM. Radio Therapy is a show dedicated to the promotion and support of Canadian music, with emphasis given to new and independent artists. There are interviews with local and out of town bands. Slav Simanic has become featured artist of the Red Room Records - Internet's New Home of Instrumental Music and On-line distributor.